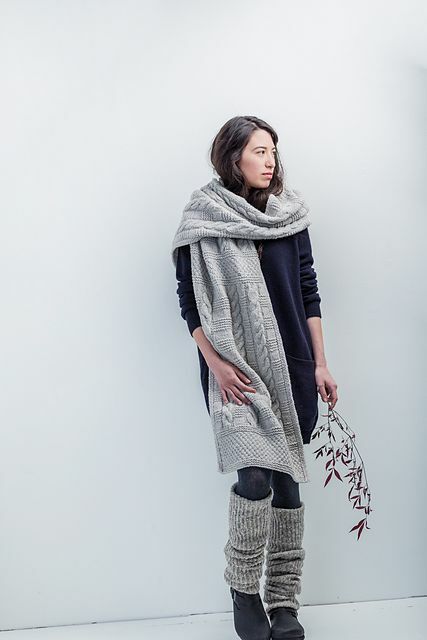 Whether you are wandering the highlands or exploring a city landscape, Byway by Jared Flood is sure to keep you warm & stylish. This stunning piece may be worn as a shawl or scarf. 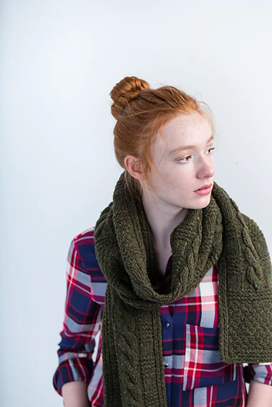 The pattern includes knitting instructions for the wrap (sample photo) or a thinner scarf version. Enjoy the rhythm of knitting the simple cables in woolen spun Brooklyn Tweed Quarry. Other yarns that would work for the scarf include Cascade Ecological Wool, Cascade Eco Plus, and Plymouth Chunky Superwash. 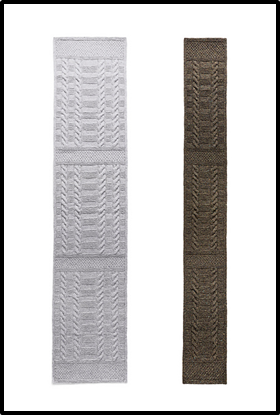 Visit the store to see our newly unveiled Byway wrap sample.